Since Muto et al. 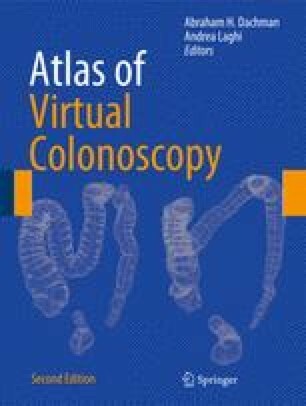 reported the first “small flat adenoma” of the colon in 1985 , the importance of nonpolypoid colorectal neoplasia is increasingly being recognized. In the past, all colorectal cancers were assumed to arise slowly from polypoid adenomas through the adenoma–carcinoma sequence in combination with the accumulation of genetic alterations and environmental changes. However, it is now widely accepted that a substantial proportion of colorectal cancers are attributed to nonpolypoid colorectal neoplasms. Lostumbo A, Suzuki K, Dachman AH. Flat lesions in CT colonography. Abdom Imaging. 2009;doi: 10.1007/s00261-009-9562-3.